European markets were trading with very high gains. DAX, FTSE and CAC were nearly 2 per cent higher. Asian markets also closed positive with Hang Seng index gaining 655 points. USD lost further ground at USD-INR was trading at 54.43. Euro was trading flat at 72.18. Among major gainers in today's session were Bajaj Auto, Jaiprakash Associates, BPCL, IDFC, Maruti Suzuki. Indian automobile majors announced lower sales numbers during December 2012 as economic worries continued to dampen sales. M&M and Honda managed to register gain in volumes. Other car and two-wheeler manufacturers registered decline in sales. 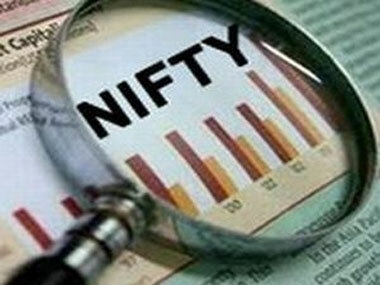 Ranbaxy Labs, SBI, Kotak Mahindra, Axis Bank, PNB, ICICI Bank, Jindal Steel, GAIL and Siemens were trading positive. Indian markets are expected to remain positive till budget in February 2013.